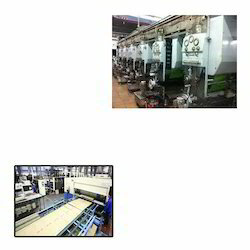 We are exceptionally possessed in giving Colour Rotogravure Press for Printing Industry to our regarded clients. It manufactured at advanced premises under the supervision finished specialists in order to the division prevalent guidelines. The offered item is open in different alternatives to look over. Aside from this, we are putting forth these items at pocket benevolent costs to our regarded customers. This item can be utilized as a unit of a plastic film blowing machine or a flex printing machine. Looking for Colour Rotogravure Press for Printing Industry ?